The Haulin' Gas is a 57' Craig Blackwell sportfisher. 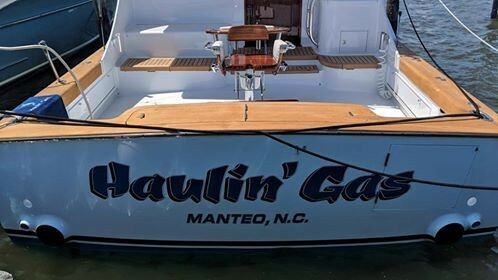 Haulin Gas is equipped with twin 700 HP motor that provides an efficient and timely cruise to the Gulf Stream. The boat is equipped with satellite TV, a tackle room, mezzanine, and much more! The Haulin' Gas is also equipped with the latest electronics to put you on the fish!